Michelle Bachelet, whose presidency ended in 2010, left office with an extraordinary approval rating of 84 percent, and although Chile’s constitution prohibits a consecutive second term, former presidents are allowed to run again for later terms in office. Last month her center-left political coalition held a primary to pick its candidate, and she won 73 percent of the vote. No surprise there. Matthei, an economist, is the daughter of a former air force commander and junta member under the Pinochet regime, and the relationship with Bachelet’s family is a fascinating story in itself. General Fernando Matthei and General Alberto Bachelet were air force officers with a friendship that went back decades. At the time of the 1973 military coup Matthei was air force attaché at the Chilean Embassy in London, while Bachelet had been appointed by President Salvador Allende, a socialist, to direct a food distribution program. Bachelet refused to go along with the coup, was arrested, tortured and died in prison in March 1974 (see earlier post https://notesontheamericas.wordpress.com/2011/08/26/justice-for-an-air-force-general-2/). Michelle Bachelet and her mother were later arrested and taken to the regime’s infamous Villa Grimaldi detention center, then released after a few harrowing weeks and went into exile in East Germany. Matthei returned to Chile a few months after the coup and in 1978 joined the junta as air force commander when his predecessor was forced out of office after repeatedly clashing with Pinochet over economic policy and a timetable for a return to elected civilian government. Bachelet’s mother contacted this old family friend to inquire whether they could safely return to Chile, and they arrived back in early 1979. So what is Evelyn Matthei like? In the early 90s she won a seat in the Chamber of Deputies, becoming the first legislator in Chilean history to have a baby while in office. She later became a senator, then labor minister under President Sebastián Piñera, and aggressively pursued Chilean employers who exploited undocumented migrant workers from other countries. When a group of Paraguayan laborers were discovered working in slave-like conditions on an agricultural estate in southern Chile, she brought charges against the landowner and met with the Paraguayan ambassador to apologize for the way citizens of his country had been treated. 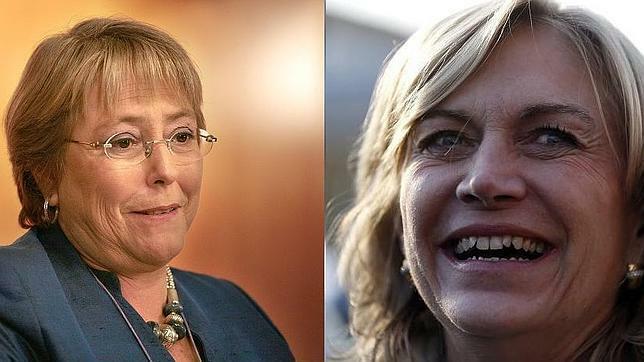 Her manner is sometimes blunt, and a diplomat in Santiago described Matthei to me as “a tough one.” Despite Bachelet’s huge lead in the polls, Matthei has said the election is winnable, and the two air force generals’ daughters should have an interesting debate indeed. 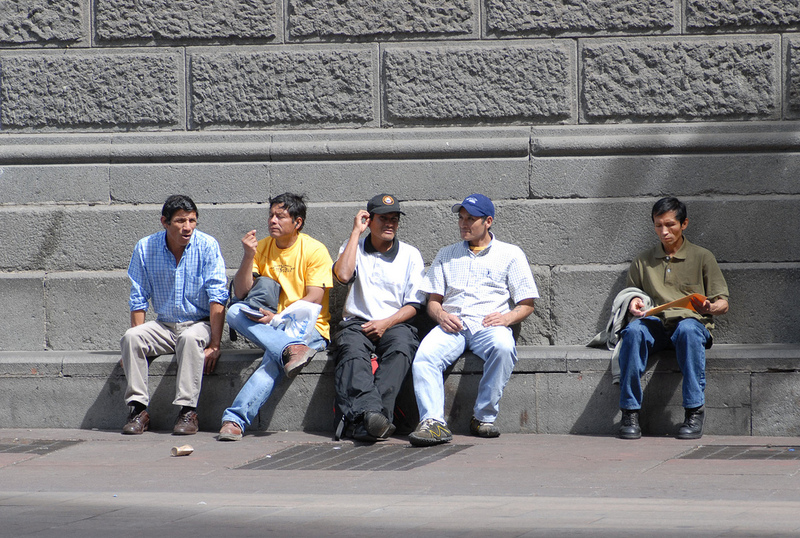 The Centro de Investigacion Periodistica (CIPER) has published a report based on Wikileaks documents on human trafficking to and from Chile http://ciperchile.cl/2011/03/23/la-preocupacion-de-ee-uu-por-el-trafico-de-personas-en-chile/. The site has links to the U.S. Embassy cables, which state that “Chile is a source, transit and destination country for men, women and children trafficked for the purposes of commercial sexual exploitation and labor trafficking” and that while the government does not fully comply with the minimum standards for eliminating this activity, “it is making significant efforts to do so.” These “significant efforts” include increased training for law enforcement and judicial officials and the fact that Chile hosted an Iberian-American summit on the issue in 2009. Chile holds the rank of a Tier 2 country, with Tier 1 being those countries in full compliance. Then there is Tier 2 Watch List of countries trying to combat human trafficking but faced with increasing numbers of victims. Tier 3 refers to countries which fail to make any real effort at improvement.